Ultra-modern design combined with convenient function makes the Amite Collection a stylish addition to your contemporary home. 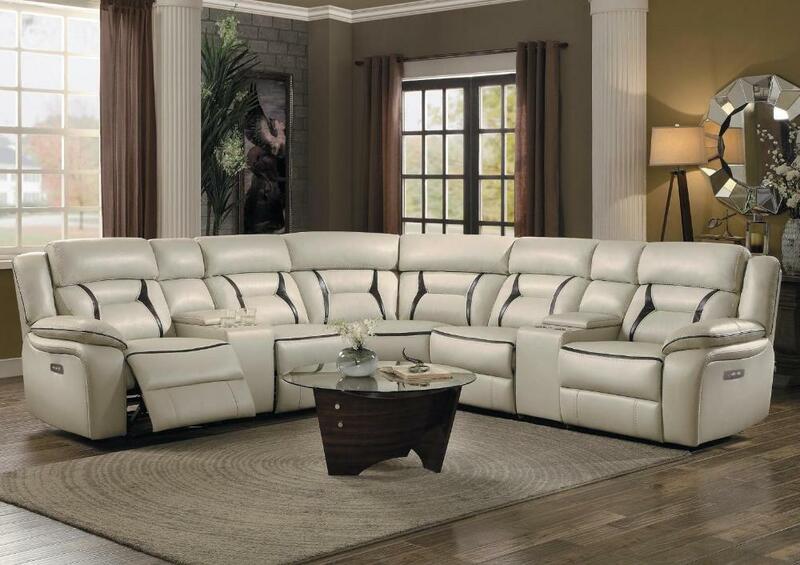 Beige leather gel match is perfectly complemented by dark brown accenting on the seatbacks, seats and arms, providing contrast and definition to the profile of the collection. With the push of the power reclining mechanism, the end and armless reclining chairs recline to the prone position. The console unit features hidden storage as well as cup holders for convenient functional use. The corner center unit and stationary armless chair do not recline. Also available in Dark Gray leather gel match cover. 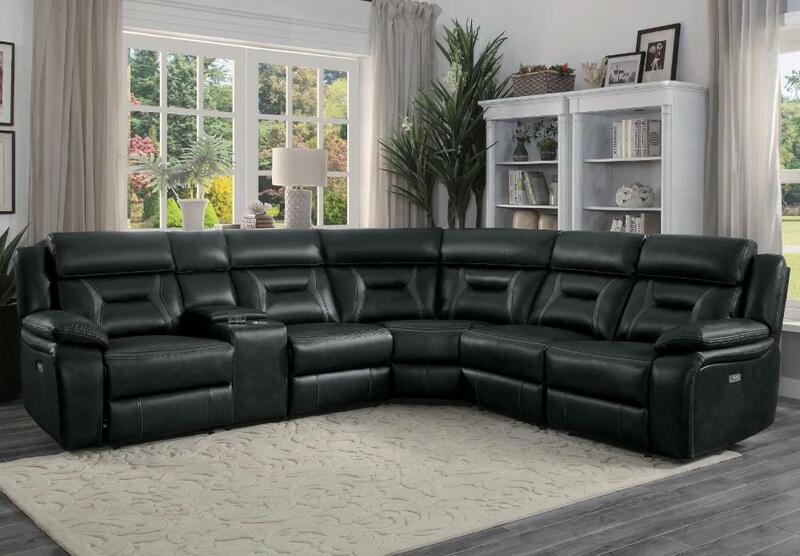 FEATURES: Beige / Dark Brown / Dark Gray Color ~ Transitional Style ~ Leather Gel Match Cover ~ Power Reclining Mechanism ~ Hidden Storage / Cup Holders Console Unit ~ Configurable To Needs.